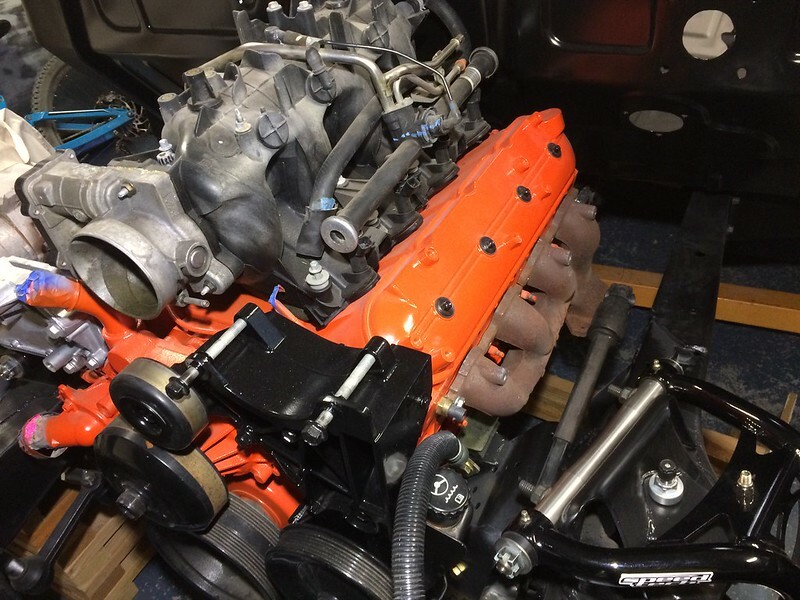 OK. Getting closer to finalising the engine bits an just wondering what the LSx conversion people are running for headers when the use a C4 Corvette setup like the flatout engineering kit. Next has anyone heard of or used speed-engineering. He has a couple of sets of conversion headers which look like they should work (1021 and 1029) but before I commit I'm thinking why not ask as someone bound to have played with this before. Try 2014 camaro exhaust manifold. 2010+ Camaro manifolds typically fit anything. Here's camaro manifolds with camaro front clip, to show you how they tuck up to the block. I used Corvette Z06 exhaust manifolds on my LQ4. They're good for over 500hp I've been told. No need to go through the gyrations it takes to fit many headers. 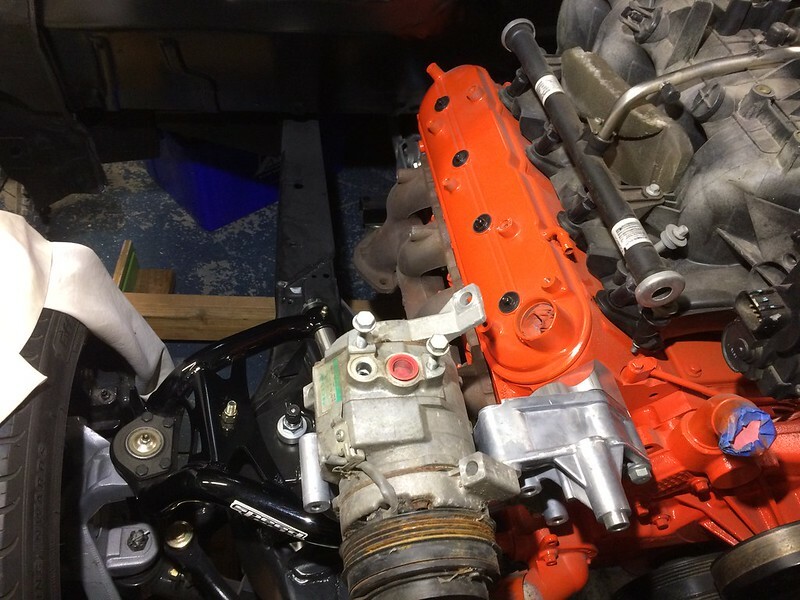 TBSS manifolds fit really tight to the block and should allow your steering linkage to work. I used a driverside one with my turbo kit and it fits awesome. I used Trailblazer SS (TBSS) Manifolds on mine, they fit really tight to the block and allow plenty of space for steering components. I have my engine mounted really tight to the firewall so I imagine that changes things a bit, but they still work really well. 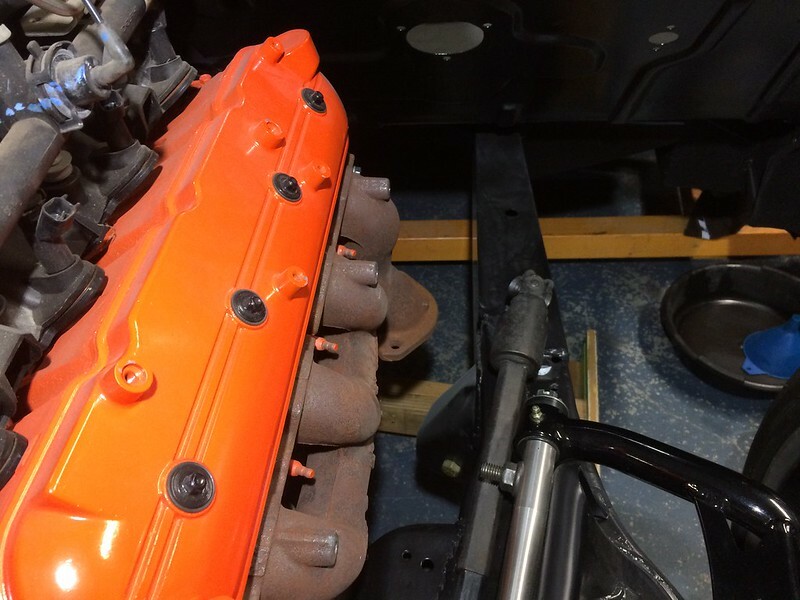 I borrowed a set of C4 headers from Melrose corvettes in Cortland,IL to test fit on my ls3 build (55 chevy truck with Flat outs C4 suspension. They fit great. Come both uncoated and coated would be a great choice.